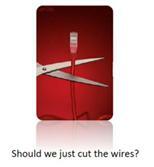 Cutting the Wires: Is Technology Failing Public Schools? By new machines, Toffler was referring to computers and the advancing technology. Over 40 years later, despite the fact that computers have significantly impacted education from several perspectives, a consensus about the effectiveness of computer use in education has not been reached among researchers. The trend toward technology-enhanced classrooms has escalated quickly during the past five years as students have become increasingly tech-savvy. Classrooms across the nation have become “wired” and textbook publishers now offer a wide variety of computerized teaching supplements. Despite millions of dollars spent on new learning technology, many schools have not achieved real improvements in teacher productivity or student achievement and are being labeled as “underperforming.” It is clear that multimedia in the classroom has provided many students with an experience. But while these students may be engaged, how do you qualify or measure the degree of engagement? Students doing more skimming and less reflecting, reading at the surface of a text. Digital tools making students more likely to take shortcuts and not putting effort into their writing. Increasingly ambiguous line between “formal” and “informal” writing and the tendency of some students to use informal language and style in formal writing assignments. Cultural emphasis on truncated forms of expression, which some feel is hindering students’ willingness and ability to write longer texts and to think critically about complicated topics. Disparate access to and skill with digital tools among students. Interestingly, some information technology specialists and employees from Silicon Valley giants like Google, Apple, Yahoo and Hewlett-Packard are choosing to send their children to schools where the main teaching tools are pens and papers. There are no computers in these classrooms. The teaching philosophy focuses on physical activity and learning through creative, hands-on tasks. Those who endorse this approach say computers inhibit creative thinking, movement, human interaction and attention spans. This can be especially detrimental in early childhood, which is the most important period for learning and establishing how we relate to the world. Exploring the real world, interacting with people and nature is how we learn about ourselves, develop character and build skills in helping us develop relationships with others. 1) Are students required to use problem-solving or higher order thinking skills or does the activity simply require them to recall information? 2) Are students engaged with technology in a hands-on way or are they vicariously using the technology through the teacher’s use? 3) Does the technology serve a purpose that requires students to achieve learning standards or is it just an additional technology activity? Student engagement using technology should be adaptive. Using technology to do things they have always done, but in a way that incorporates new uses. For example, students have always been able to give oral presentations or create posters with information about a topic they have learned. Now, students are able to use PowerPoint or other presentation tools to demonstrate what they have learned. The key is that students should be learning with technology not from it. If activities are designed well, students can learn with a greater depth of knowledge than a traditional setup. The major benefits are the access to resources, interaction from a distance and student enjoyment/interest. The message for teachers and the educational system, in general, is that technology in the classroom should complement the curriculum, not over power it. Technology may be changing the experience of education, but the role of teachers and parents grow increasingly important, as they become the experts and guides for new learning resources. Teachers remain the constant in an ever-changing classroom environment, which will continue to shift with the technological tides.